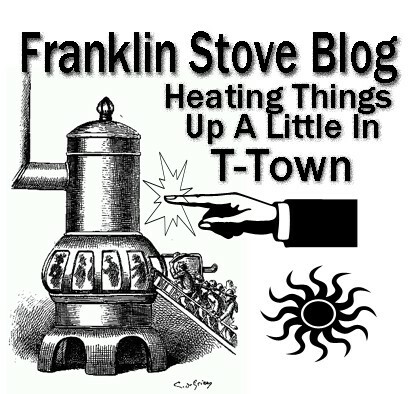 The Franklin Stove Blog blog was linked to at the end of this touching and disturbing letter from an Alabama student’s mother to the University of Alabama President. One person who sent it to Jim Rainey (the Publisher of the Tuscaloosa News) said that he seemed interested in it. But the letter has yet to be seen in in The Tuscaloosa News. I am the parent of Katharine Patricia Smith, sophomore by year and junior by credit at the University of Alabama. Our oldest son went to UA in the late 1990’s/2002. We are not strangers to the UA campus life. I will attempt to be as brief as possible. When Katie chose to attend the University of Alabama, she had been accepted at American University as well as the other Florida Universities. Her choice resulted in the surrender of the Florida Bright Futures Scholarship and several other scholarships that would have virtually cost us nothing for her bachelors’ degree. We have exhausted our Florida Pre-Paid Tuition Plan to the University of Alabama and now we are working to keep the tuition paid until Katie graduates. My husband has a small business in land clearing and I manage a small nonprofit organization here in Milton, Florida. • Class president in her 5th grade year at Rhodes Elementary School. • Freshman and sophomore class president at Milton High School. • Vice President of the school student body-Junior year at Milton High School. • Student Body President Senior year at Milton High School. Because of Katie’s leadership in high school, as a sophomore, she helped stimulate the interest in Florida amongst many young people around the state regarding the derogatory usage of the word, “retard”. This came about because of Katie’s love for her brother, Curtis Daniel Finlay. He experiences Autism, Tourette Syndrome and has an Intellectual Disability. Katie held events at her school, had petitions signed and began speaking to groups around the state, as well as had the opportunity to speak at a national conference of The Arc of the United States. Many Florida Advocacy groups learned about Katie’s activities. These activities became one of the catalysts that ignited other actions around our state to promote a special piece of legislation, following the national movement and implementation federal legislation of Rosa’s Law. In the 2013 Florida Legislative Session, Senate Bill 142 and House Bill 1119 were passed unanimously to eliminate all usage of the word in all state statutes and laws and now the word Intellectual Disability is the correct term. I cannot tell you how proud I am of Katie. This was spearheaded by a young girl who loves her brother with Autism. I provided you with all of the above information because when Katie came to the Capstone, she wanted to participate in leadership activities. Her love for leadership resulted in advice that she should join a sorority. According to her ‘advisors’ this would be the only way to become involved in Student Government. She joined and through the first experience with Rush, she became very disappointed about the process. We should have known then (in the summer of 2012) something was wrong with this system. Katie would call home several times a day crying about these antiquated customs. Katie met so many really nice young women who were equally as talented and qualified to become a member in an UA Pan-Hellenic Sorority. Many of these young women, (who were equally qualified for membership,) were not invited within the second, third and fourth day of Rush. As Katie would learn later, it was because of their skin color or ethnicity. Katie felt confident that this would change and continued with her membership of AOII, as advised. I have learned that at weekly sorority and fraternity “swaps” it was strongly encouraged that the new sorority members participate in a practice called “bumping”. As I see it, “bumping” is nothing more than sexual rituals. When you add copious amounts of alcohol provided by the older fraternity members, you can only imagine what will occur. Impressionable eighteen year olds look up to these older sisters and they will feel like they should do what they are ‘supposed to.’ It does not matter what you have taught your children, this is severe peer pressure. I am not a prude here. I was once young too. During the Tuscaloosa School Board elections, the AOII Machine representative told all of the members of her sorority that they were to vote for a former UA student. If they voted for this person, they would receive a limousine ride to the polls as well as a wristband that could be exchanged for an alcoholic beverage at two local downtown bars. Katie spoke out against such practices. Although Katie was not an eligible voter in Tuscaloosa, she was AFRAID to speak out with her name attached but attempted to go to Greek affairs and the Alabama election board. She spoke out, anonymously, because she was terribly afraid of the backlash that might come for doing so. During this last bid for Senate seats, Katie was told by a “machine rep” that she “could not run for Secretary of the Senate”. She has been told that her actions do not reflect the University of Alabama’s principles. These are only a few issues that we are troubled about with the University of Alabama Greek System evidential common practices. We were saddened to see that Katie resigned from AOII on March 12, 2014 as a matter of principle of the sorority process. She will NOT be reimbursed for the rest of the semester which includes her food plan. She has been shunned and avoided by the majority of these girls. Her car was keyed the week prior to leaving on Spring Break. There have been questions about some evident tampering with her car wiring. This has been reported to the Tuscaloosa Police Department. At Katie’s last Senate meeting, (March 20, 2014), Katie co-authored and introduced a resolution for the sororities and fraternities to end segregation in these organizations. She felt that the expectation that you had courageously attempted last fall had to come from within and not from Administration. There were only 6 votes to end segregation and the others voted it down and send it to committee. Since this was the last meeting, it was ‘killed’ on the senate floor that night. That night, she experienced much backlash from the present senators, even some laughing while she answered questions. She wanted to present this resolution last fall, but the Machine told her that she was not allowed. It was also in her best interest to keep her mouth shut and if so, she would be ‘backed’ for an executive position in the Student Government Association. Katie tried out for the Blackburn Institute. Katie informed us “that they really wanted instate students and very few are accepted from out of state.” Should we have furnished the census records from the 1800s to 1940 regarding my Alabama Ancestors of Chambers County, Alabama? When it is all said and done, my husband and I have already spent over $50,000 for an out of state university for what I thought my daughter would have first class leadership opportunities. (This does not include room and board and sorority expenses.) This has not come to fruition. We are very disappointed in the principles that are being dictated by these sororities and fraternities. 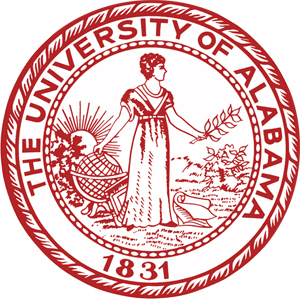 From our experiences at the University of Alabama the “Stand in the Schoolhouse Door” appears to be shrine only. The monument is reflective of concrete only. Shouldn’t there be meaning behind this statue? Not a commemorative ceremony with distinctive guests but with real meaning? I am sure that you may think this is all “sour grapes.” I almost wish this was. I have to tell you that my husband and I are very worried for Katie’s safety and well being. After this Spring Break, we have seen a different daughter than we first sent away to school. For this reason, I am requesting a meeting with you regarding this matter. As a mother, I need to have reassurance in my mind about my daughter’s safety. If this is not enough, attached is the letter that Katie wrote to her sorority as to why she felt the need to resign. We were sickened that this has been going on. ← What was behind the effort by Mike Echols and others to take over Tuscaloosa’s School Board? I would love to see the letter she wrote. This is sickening! How can people have no backbone to stand up against this. This says something about the kind of adults these kids are gonna end up to be. This is what is wrong with the world today! I worked as private security for years for many of the sororities and fraternities on campus. You’d be surprised how lax their rules are and what they get away with. Oh the things I’ve seen…..
As a proud American University Alum, I can say that she really should have gone there. Her commitment to social justice would have been welcomed with open arms. WOW. I just hope that Katie can see past her current situation to a future in which she will be proud of taking a stand against a corrupt, perverted, bullying Greek system at UA. Morally she is already at the top of her class! I find bliss not in the content of this passage, because it is horrible to hear of even more stories like this, and it saddens me that my school would act this way. What does bring me bliss, though, is that people are finally speaking out. It’s time we bring change to this campus. I mean….The UA Greek system is horrendous and they are everything that’s wrong on campus. But her parents were silly in thinking that sending their out of state, non-affiliated, middle class daughter to UA to be in SGA would be a good idea. SGA is a bunch of southern rich white kids who all have the same agenda-money, power, and racism. It’s been that way since the late 1800s when the machine began. As terrible as all this is, I think it is a good thing that she came to Alabama. Had she not, would there even have been these small wake-up calls at the University? I doubt it. Had she not come here and experienced all this, there would most likely still be silence on the subject. UA has come a long way over the past few decades, but there is still much more to be done. The sad part is that many students and other people do NOT realize the racism going on in the Greek system and SGA, and many of those who do know about it don’t think they can do anything about it. All that is happening with Katie Smith will hopefully open people’s eyes to the ongoing injustice at the school, and hopefully cause more students to try and take a stand, and show the Greek system that they won’t let the Machine be so controlling. I, for one, believe that if we, the large portion of the student body that are NOT Greek, come together against the tyranny of the Machine, then we can overcome this. And it isn’t only the problem of racism, but also the problem of the overwhelming amount of power that the Machine has and abuses to get its way. I have great respect for Katie for leaving her sorority. It shows that she is not going to let other people control her and that she is not going to stand for something that she believes is wrong. I’m a graduate of The University of Alabama, also. When I was a student there, fraternity/ sorority members were able to get away with lots of things. I was not allowed to pledge a certain fraternity because I didn’t “fit in” I was politely told that the fraternity for me was not on campus. They said the “black” fraternities hold separate events. I have some great memories, but I also have some very bad ones. After finishing my BSE degree, I was more than happy to be going somewhere else for graduate school. (FSU). FSU was fantastic. I loved every single minute I was there. I’m saddened and very disppointed to read this letter about Katie’s experience at the University of Alabama. I am proud that you were brave enough to stand up to what you know is right and let your voice be heard. I’m ashamed for the University of Alabama or any college for that matter to act this way. I hope things change for the better one day. If the adults running the university had half as much courage as Katie does, maybe there could be some real change at this school. Good for her for speaking up. Standing against the crowd is never easy, even if the results is just being shunned by a group of people who are supposed to be your best friends/”sisters,” but it’s immensely more difficult when you know you face physical harm and other severely fucked up consequences. This is so far over the line and everyone knows it happens, but no one is willing to do anything about it. Katie has a lot of courage for trying. It would be very interesting to read what Dr. Bonner has to say about this issue. The very sad part of this letter is that I have a feeling this is going on at a lot of schools. This does not justify their actions only to say one brave young woman had the courage to speak out against injustice. you would have to be crazy to send your child there. One man’s insanity is another’s religion.